A spiritual path, as I experience it, is much more than self-realization, emotional release or rituality. It is an experiential voyage into the unseen matrix which generates the physical world as we humanly perceive it. It is a direct communication with beings abiding in other dimensions and whatever exists beyond our limited perceptive field, as it is defined by our consensus reality. Many individuals are aware of the existence of other entities and realms, yet they are afraid to establish connections or even talk about them. The denial of non-ordinary relationships is so rooted in current cultures that, unless I also conform to this attitude, I risk to be ostracized by my social environment. 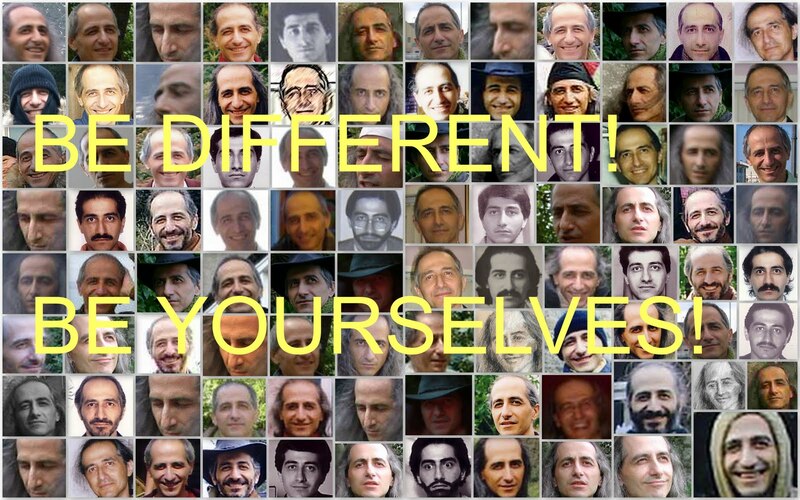 On my part, I have done my best to deny and disregard other dimensional beings and my non-ordinary traits, in order to become a real man, as I perceived it advertised from various conventional sources. Yet, I have never succeeded, for these beings and those traits have always continued to be part of my life. I have spent a lot of time trying to analyze what they meant, whether they were psychological projections of my frustrations, an unconscious makeshift to avoid facing true responsibilities, the deceptive recycle of my emotional blockages, or a strategy to restrain sexual obsessions. For long I was tormented with the idea that everything, included me, had to be interpreted and dissected, that nothing could be accepted simply as it is. Then, I became aware that what I experienced was merely what it is. I could certainly interpret something or someone that simply is, yet I will not get any clue about what it actually is. All I would receive were simply further definitions of my human conflicting notions about who I want or do not want to be. I then realized that when, mainly inadvertently, I forgot about the human idea I had of myself, I would truly discover about me and others. Then I understood that there was truly nothing to interpret or investigate. Everything and everyone is simply what it is. The stars do not make the effort to shine in the night sky, they just do it. This is the general attitude both in the visible and the unseen universe. Nothing tries to be what it is, it just is. Nobody tries to discover his purpose in life, he simply is that purpose. This state of being is instinctual and devoid of any definition. It has nothing to do with the human concept of individual being or of self-development. On the contrary, from this latter perspective it appears as nothing. There are often moments, especially when I wake up or after an ecstatic experience, that I truly need to make a huge effort to align with the luminous, and definitely legitimate, human idea of being an individual on an evolutionary path of self-growth. I have done my best to look within me and discover who this individual is. The more I have gone deep into myself, the more I have found an effortless state of being, which literally appears as nothing. It is out of this nothing that I am uncovering what has always been there, veiled by my insane creed of being something else. It is the state of simply being who I am, instead of trying hard to be something else based on the assumption that what I am, is not good or enough. Acknowledging who I am, involves fully accepting to express my nature and refusing to pursue others. It is like an almond tree that rejoices at producing almonds, instead of trying hard to generate oranges. This is also the nature of everything in the universe and of so called non-ordinary beings, as I perceive them. These beings become visible once I enter in the space of nothingness, which I also call the empty space or void. The first types of beings I disclosed in the void were the famed Bhi Jinah. [i] Here, I would like it to make it clear that when I mention the Bhi Jinah, I do not refer to imaginary or symbolic representations of human consciousness. I mean real beings. Yes, of course, from a very wide perception they are merely an illusory projection of the mind, hence they are not truly real. Yet, this applies to everything and everyone, including me. As I experience them, Bhi Jinah are quite real and, if I could make a comparison, they are much more real than humans. This does not mean that this statement is truth. I may be insane, which is something I often take into account. Yet, whenever I try to heed this consideration, hence giving up Bhi Jinah and exclusively relating with ordinary human beings, my direct and indisputable experience is that I do in actual fact become insane. When I began to explore shamanic cultures, it was a great relief to meet shamans that shared the same experience about Bhi Jinah. I call them Bhi Jinah, yet this is not the way Bhi Jinah call themselves. They are so unconcerned about definitions and so absorbed in their nothingness, that I assume they do not bother about names. According to each shamanic tradition, they receive various names, for names are the only way to draw human attention. The beings I see have anthropomorphic features, yet they incorporate both genders, and also various possibilities of age, although they may at times separate their polarities or adjust to one specific age for strategic reasons. They can appear anywhere to those who are in a sheer state of being, abiding right in what they effortlessly are, without any attempt of being someone else. New Moons are special for they offer a major opportunity to attain this condition. Hence luminously beware of the next New Moon. 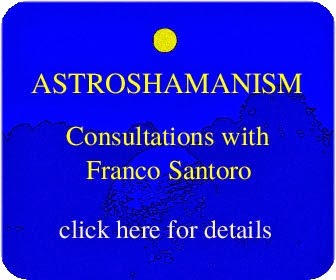 Click http://astroshamanic.blogspot.com/p/programmes.html for our calendar of holistic and astroshamanic events. [i] For further information on Bhi Jinah see: http://astroshamanic.blogspot.com/2011/01/bhinah-nothing-people-by-franco-santoro.html or Franco Santoro, Astroshamanism:Book Two.